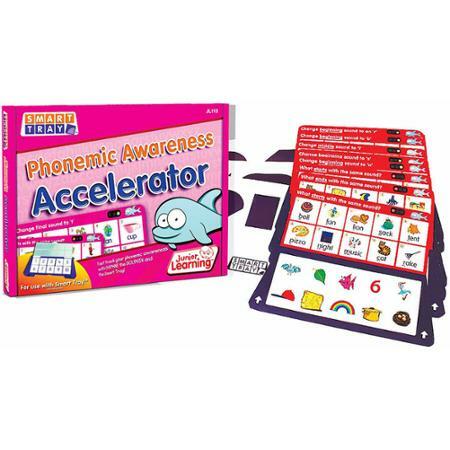 Complete matching activities to devlelop Phonemic Awareness. Teach the operations of phonemic awareness. 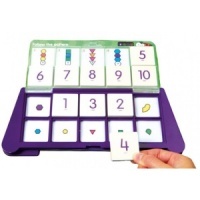 Sounds are introduced in a systematic progression... early cards involve matching sounds activities and later cards teach manipulation of sounds in words. 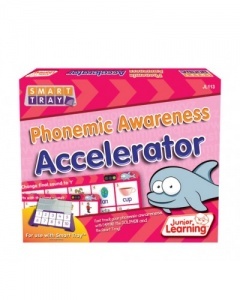 Teach blending, isolating, segmenting and substitution of sounds in a fun, multi-sensory way. Contains 25 cards. Self correcting. For use with the SMART TRAY (sold separately).